Q. How do I access resources from off campus? Licensed resources require authentication when you are accessing them from off campus. After selecting the resource, you will be taken to a page where you will choose your institution. 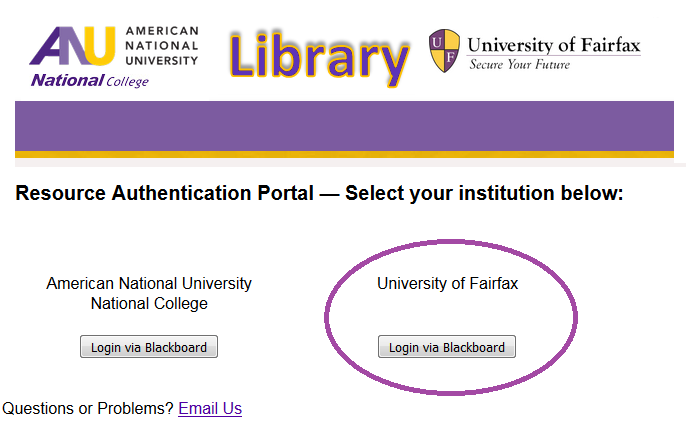 Select "Login via Blackboard" under your institution. If you receive an error like the one below, you should clear your browsers cookies, close all browser windows, then try again. If you continue to have problems, please contact us.